I'm back from Michigan! (More on that later in the week) But I'm hosting this incredible book today on my blog. I believe true Christianity is indeed under attack today in our culture and it is so easy for each one of us to be misled little by little away from what Jesus preached. Have a look at the description of this book below and if you'd be interested in this book or know someone who would be, leave a comment with your email. I'm giving my copy away. 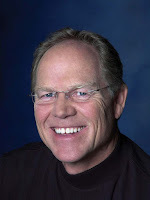 Hank Hanegraaff serves as president and chairman of the board of the North Carolina-based Christian Research Institute International. He is also host of the Bible Answer Man radio program, which is broadcast daily across the United States and Canada, as well as around the world through the Internet at http://www.equip.org/. Through his live call-in radio broadcast, Hanegraaff equips Christians to read the Bible for all it’s worth, answers questions on the basis of careful research and sound reasoning, and interviews today’s most significant leaders, apologists, and thinkers. 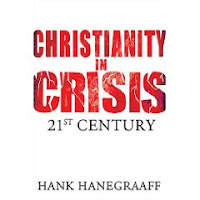 Widely considered to be one of the world’s leading Christian apologists, Hanegraaff is deeply committed to equipping Christians to be so familiar with truth that when counterfeits loom on the horizon they recognize them instantaneously. While the Faith movement is undeniably cultic—and particular groups within the movement are clearly cults—it should be pointed out that there are many sincere, born-again believers within the movement. I cannot overemphasize this crucial point. These believers, for the most part, seem to be wholly unaware of the movement’s cultic theology. I have personally met several dear people who fall into this category. I question neither their faith nor their devotion to Christ. They represent that segment of the movement which, for whatever reason, has not comprehended or internalized the heretical teachings set forth by the leadership of their respective groups. In many instances, they are new converts to Christianity who have not yet been grounded in their faith. But this is not always the case. I remember with great fondness, for example, the kindred spirit I shared with two ladies who participated in my Personal Witness Training class in Atlanta, Georgia. Year in and year out, these ladies would diligently and faithfully work to equip church members to effectively communicate the good news of the gospel. They were as committed to Christ as any two people I have ever met; yet they were both staunch supporters of Kenneth Copeland and Kenneth Hagin. I can still recall the conversations we had in 1985 concerning this topic. What stands out most vividly in my mind was their honest conviction that these men did not teach what I claimed they did. Over the years I have received hundreds of letters from people immersed in the Faith movement who were completely oblivious to the rank heresy they were being fed—individuals who have said, “Until I saw the evidence with my very own eyes, I was not willing to accept it.” For this reason, we must take care to judge the theology of the Faith movement rather than those being seduced by it. Christ Himself, in His magnificent Sermon on the Mount, taught us not to judge self-righteously or hypocritically. As frail mortals, we can only look on the outside; it is God who discerns the intent of the heart (1Chronicles 28:9; Jeremiah 17:10). Having said that, let me reiterate that those who knowingly accept Faith theology are clearly embracing a different gospel, which is in reality no gospel at all. Let us never forget that Scripture admonishes us in the strongest of terms to test all things by the Word of God and to hold fast to that which is good (1 Thessalonians 5:21; cf. Acts 17:11). As Jude exhorts us, we must contend earnestly for the faith (Jude 3). By the time you finish reading this book, you will have come face-to-face with detailed documentation which conclusively demonstrates that many of the groups within the Faith movement are cults. Therefore we need to understand exactly what is meant by the term “cult.” For the purposes of this writing, I will focus on two primary ways in which a cult may be defined. First, a cult may be defined from a sociological perspective. According to sociologist J. Milton Yinger, “The term cult is used in many different ways, usually with the connotations of small size, search for a mystical experience, lack of an organizational structure, and presence of a charismatic leader.”1 For the most part, sociologists have tried to avoid negative overtones in their descriptions of cults. The same cannot be said, however, for the media-driven public at large. According to religion observer J. Gordon Melton, the 1970’s saw the emergence of “secular anti-cultists” who “began to speak of ‘destructive cults,’ groups which hypnotized or brainwashed recruits, destroyed their ability to make rational judgments and turned them into slaves of the group’s leader.”2 Cults of this variety are viewed as both deceptive and manipulative, with the groups’ leadership exercising control over virtually every aspect of the members’ lives. Furthermore, converts are typically cut off from all former associations—including relatives and friends—and are expected to give their complete devotion, loyalty, and commitment to the cult.3 Examples of cults labeled as sociologically destructive range from the Hare Krishnas to Reverend Sun Myung Moon’s Unification Church to the Family of Love led by “Moses” David Berg. Christian Research Institute founder Walter Martin adds that “a cult might also be defined as a group of people gathered about a specific person or person’s misinterpretation of the Bible.”5 From a theological perspective, cults include organizations such as the Church of Jesus Christ of Latter-day Saints, the Watchtower Bible and Tract Society, and the Church of Religious Science. A primary characteristic of cults in general is the practice of taking biblical texts out of context in order to develop pretexts for their theological perversions.6 In addition, cults have virtually made an art form out of using Christian terminology, all the while pouring their own meanings into the words.7 For example, while practically all cults laud the name “Jesus,” they preach a Jesus vastly different from the Jesus of the historic Christian faith. As Jesus Christ Himself put it, the real litmus test is “Who do you say I am?” (Matthew 16:15). Mormons answer the question by saying that Jesus is merely the spirit-brother of Lucifer. Jehovah’s Witnesses assert that Jesus is Michael the Archangel. New Thought practitioners refer to Jesus as an avatar or mystical messenger. As blasphemous as all of this is, however, many Faith adherents actually reduce Jesus to an even lower level. For them, He is no more an incarnation of God than is any believer. Given these definitions of a cult, it is completely justified to characterize particular groups within the Faith movement as cults—either theologically or sociologically or, in some cases, both. 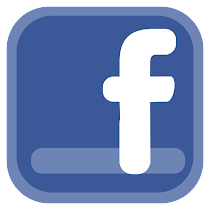 However, in classifying the Faith movement in general, it is more precise to use the term “cultic,” which essentially means “cult-like. “This distinction clarifies that “cults” (from a theological perspective) refer to groups with uniform sets of doctrines and rigidly defined organizational structures; they are monolithic. Movements, on the other hand, are multifaceted and diverse in their beliefs, teachings, and practices. Thus, while certain groups within the Faith movement can be properly classified as cults, the word “cultic” more aptly describes the movement as a whole. To put it another way, the “Faith phenomena” collectively reflects the sort of diversity found in movements (like the New Age movement), as opposed to mirroring the homo-geneous and relatively static character of cults like the Mormon Church and the Watchtower organization. The Faith movement, as all other movements, is composed of various groups, each with its own distinctives, but which share a common theme, vision, and goal.8 For this reason, the numerous Faith churches, teachers, and adherents should be judged on an individual basis. Each should rise or fall on his or her own merits. Kenneth Copeland Ministries, headed by Kenneth and Gloria Copeland, for example, bears all the marks of a cult. 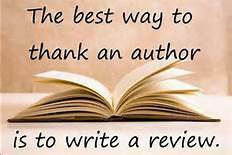 First, it has a formalized hierarchical structure; it boasts a centralized organizational facility; and it is equipped with a publishing arm complete with a distribution mechanism. Additionally, as will be fully documented, the Copeland’s bludgeon many of the essentials of historic Christianity, preaching their own deviant brand of antibiblical theology that the vast majority of their devotees accept without question. Furthermore, fervent followers consider the Copeland’s to be the final authority in matters of faith and practice. Thus we can legitimately characterize the Copeland’s as being cult leaders who, in the vernacular of the apostle Paul, represent “a different gospel—which is really no gospel at all” (Galatians 1:6,7). On the other hand, such teachings as God possessing a physical body, humans created as exact duplicates of God, and Christ’s transformation into a satanic being fall squarely on the other end of the “error spectrum.” They are heretical, which is another way of saying that they directly oppose the clear teaching of Scripture on matters of essential importance as highlighted in the creeds and councils of the church. You, the reader, will inevitably need to decide whether you think the Faith movement is cultic or Christian. You must decide whether these doctrines are true or false or some muddy mixture of both. If you decide that this movement is a valid expression of Christianity, then in all fairness you should also embrace as fellow believers the Mormons, the Jehovah’s Witnesses, the Christian Scientists, and a host of other groups normally thought of as cults. Sounds like a must-read for every Christian. I've been wanting to read this one for awhile, but unfortunately my library doesn't carry it. I'm putting this on my To-read list!